I know that many of you have likely changed your diets, and have seen positive results, but there may be other toxins in your life that can trigger the autoimmune response. Mold is a powerful autoimmune trigger that hardly anyone talks about. I’m excited to tell you about my friend Dave’s new project… spreading awareness about the health implications of mold (and how to overcome toxic mold)! 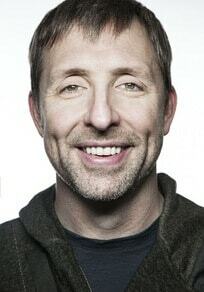 You may have heard of Dave Asprey, biohacker extraordinaire, the creator of Bulletproof Coffee, and the author of the NYT bestselling book, The Bulletproof Diet, but you may not know that Dave was once diagnosed with Hashimoto’s and was able to put it into remission. I nearly fell out of my chair. I excused myself to call my husband, who like me was a huge fan of Dave’s popular podcast. Of course, my husband said “Why are you talking to me? Go back and talk to him!” Thank goodness for a voice of reason and assigned seating. I got a chance to spend the evening chatting with Dave and his wife Dr. Lana Asprey, a fertility specialist, over a delicious Paleo dinner followed by digestive enzymes, and we became fast friends. It was amazing to see that Dave was just as brilliant and witty in person as he is on his podcast, but also, that he and his wife were kind, passionate and dedicated to helping people. 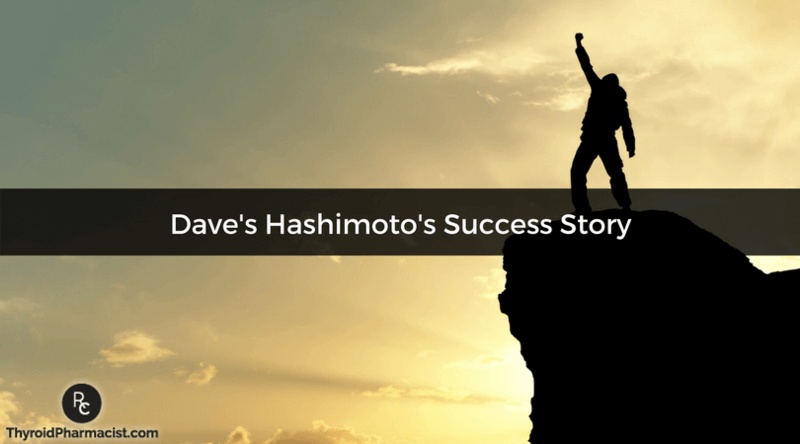 Dave USED to have Hashimoto’s and was able to put it into remission. One of Dave’s root causes was toxic mold! At one point, Dave weighed 300 pounds and was constantly brain fogged and exhausted, despite eating a very low-calorie diet and exercising 6 days a week. Like many of us, he set off on a quest to find answers, and eventually found an integrative doctor who gave him some answers. Upon finding out he had Hashimoto’s, he went completely gluten free and began to change his lifestyle, eventually leading to the development of the Bulletproof diet. As he saw improvement in his health with diet, Dave’s research continued to lead him toward toxic mold. He knew the house where he was living had toxic mold, and the house where he grew up likely had mold issues as well. He decided to turn down mold exposure and was able to turn down his autoimmune response. In addition to looking into ways to reduce environmental exposure, he focused on mold in foods, and how changing his diet might diminish his mold burden, and improve his health. His quest to avoid toxic mold in food led him to create his signature Bulletproof Coffee®, a drink low in mold and cross-reactive toxins. He also eliminated high-mold foods and beverages from his diet, including peanuts, raisins, beer, and wine. He also supported his body with activated charcoal (which helps get rid of mold) and glutathione (an antioxidant). The results were astonishing. Dave is now the muscular poster-boy of high performance, running a multi-million dollar company and his thyroid antibodies are now at zero! Dave was behind the creation of “MOLDY” a documentary about the health effects of toxic mold to spread awareness about this little-known root cause of multiple health conditions. While I’ve had a few Hashimoto’s remission stories from readers who were also affected by mold, I was shocked to learn that as many as 45 million people may be affected!! One of the potential clues of mold being a root cause is when your health begins to deteriorate after moving into a new home. When I conducted a survey with the Hashimoto’s community last month, 20% of you reported that your health began to decline after moving to a new place!! Some of the clients that I’ve seen affected by mold have shown me unbelievable before and after photos. People who were once thin and athletic can put on weight and collect so much inflammation in their bodies that they become virtually unrecognizable within months of mold exposure! Please note that not everyone may be affected in the same way. For example, a family member with different genes may not develop Hashimoto’s, but he/she may develop asthma or allergic rhinitis soon after moving into the new home… another family member may not have any apparent symptoms at all! Additionally, mold occurs naturally in the atmosphere, but due to air pollution, it can now be present in the air we breathe—up to 25% of people may react to this type of mold and not know it. Other clues that you may be mold exposed, include – brain fog, breathing issues, cognitive impairment, immune suppression, fatigue, depression, arthritis, digestive problems, poor sleep, inflammation, and joint pain. The good news is, once you identify mold as one of your triggers, you can reverse its effects! If you suffer from any of these common problems you’ll find powerful, heart-wrenching, answers to what have often been called incurable problems. Dave got his health back and you can too! When you open the link to the moldy movie, it asks for your name and email. When you do that and click watch movie, a prompt comes up stating if you click on this you are entering in insecure site. Is there a way to offer this video on a secure site? Sue – thank you for reaching out. I am sorry you are having technical issues. I was just able to view it so it may be a setting on your computer or network that is preventing you from viewing it. You could try changing your browser and see if that helps. If are still having issues please email my team at info@thyroidpharmacist.com and they will be happy to assist you further. I live in California, bay area. I lived in a house for 15 years that was covers in mold. I moved out about 8 months ago. For the last 3 years I have been battling with a skin rash issue, and now have developed a thyroid problem, I have had foggy thoughts, dizziness, fatigue for years. I am having a really hard time finding a doctor that will help me, or even address that any of these sympts may be due to the mold. Can you recommend a doctor in my area they may be able to help me. I am desperate to feel better. Angelica – thank you so much for sharing your journey with me! I believe that everyone needs to find a practitioner that will let him/her be a part of the healthcare team. You want someone that can guide you, that will also listen to you and your concerns. You want someone that’s open to thinking outside of the box and who understands that you may not fit in with the standard of care. It’s a good idea to ask some standard questions when contacting a new doctor for the first time. Something else to consider is you can work with a functional doctor remotely, via Skype. You could also contact your local pharmacist or compounding pharmacy, who may be able to point you to a local doctor who has a natural functional approach. But I encourage you to keep looking for the right one for you! Here are some resources you might find helpful. Eric Gordon Medical Associates in San Rafael and Santa Rosa specializes in this. I just resigned from my job because the building is full of mold. The ceilings fell in twice in the last month from rain storms. I have been chronically I’ll since I started there a year ago. Was not able to watch the documentary. I registered and nothing happened. I am hoping you can help me with this. I have had gone through allergy shots two sessions one as a kid and again as an adult. Both times I was found with mold allergies. I have been sticking to a gf diet eating fresh fruit and vegetables along with meat. I would love more information on what food has mold in it. Also how do I treat my 40 year old home to remove all mold? Read “Stop the thyroid madness” and Dr. Shoemaker’s book “Mold Warriers”. Do mold blood test. Get Ermi vacuum test done. See a ND for Liver Detox with Cholestrymine, Lopid or any toxin binder to clear from system. I had MDA DR genetic test done to show I am one of 28% that cannot clear mold or toxin from my liver thru the intestinal tract. Merise – Thank you so much for sharing!! Do you have Hashimoto’s or a thyroid condition? It’s so inspiring with hope to overcome my hashimoto. Love that. By the way, how can we drink bulletproof coffee in the morning without any stomach acid and ulcer. Netdao- Most people will see a dramatic reduction in gut symptoms, brain symptoms, skin breakouts and pain by eliminating the foods they are sensitive to. Some will also see a significant reduction in thyroid antibodies! An additional subset of people, will actually be able to get their Hashimoto’s into complete remission just by getting off the foods they react to, normalizing their thyroid antibodies, and some even normalizing their thyroid function! Here are a couple of articles you may find helpful. Dealing with black mold and multiple mold issues right now. Tried to register, but nothing happened. Please respond if this gets fixed. I’ve been out of state and unable to access my email, but very interested to know that turmeric a supplement that had a positive effect on reducing the issues that come with Hashimoto’s Disease. Unfortunately, I didn’t the word about toxic mold until today, too late to get Dave’s podcast. I lived in a house that had a small bathroom covered with mold, and a time at which my health issues (MS, for example) manifested to a diagnosable status. The MS, also affected my vision, thus my ability to read well. I’m hoping you can recommend an avenue to Dave’s podcast. Thank you for all the help you’ve been to me and others with Hashimoto’s. I know there is mold in the house that I rent and I have been tested for mold in my body. I was diagnosed with Hashimoto’s back in Nov 2014 but was never put on thyroid medication until April 2015 after finally finding a good functional doctor. She has told me that my body is “riddled with inflammation” and I should look into the mold status of my home. I understand that the landlord may be responsible for some of my medical bills if it is determined that the mold in the house is what is making me sick. I have also been diagnosed with Lyme Disease, Epstein Barr Virus and (2) forms of Mycoplasma, 1 c. pnuemonia and the other another type of lung mycoplasma. I would like to connect with David Asprey to find out more about his documentary because I believe that mold is the “root cause” to my hashimoto’s and I would like to put it into remission. Please let me know how to get in touch with David Asprey and find out more about “MOLDY” the documentary. Thank you!!!! reading your situation which is almost the same. would you please share how you got tested for mold in your body. I had also had test but I think my testing is missing some. I was also treated for lyme(s) and co-infections on several occasions on the past 10 years and heavy metals issues. I have been struggling with weight gain since moving into a new place and swelling in one eye, my body and my bones hurt beyond comprehension.. I already have an autoimmune deficiency called Scleroderma so I live with my body always in war with itself.. Trouble sleeping, allergy symptoms..
I’m just wondering, first of all, how you can find out if you have mold in your house? I understand that every house has some mold in it but how do you know if you have a mold problem that could be contributing to your health??? Would it need to be bad enough that you can see it, or would you need professional type of testing done? Also, how do you get tested for mold in your body? Thank you for this great article Dr. Wentz! I am recovering from mold toxicity which affected my thyroid (among many things). You mention some people get allergic reaction, some get inflammatory reaction, and some people have genes that can handle it. I had the second — ultra high inflammation / brain fog / chronic fatigue. Next Christmas I hope to be strong enough to enjoy it with my family and eat the foods I once loved (sparingly of course), but for now I’ve been sticking to nut-free Paleo since shortly after getting sick (though I initially didn’t know it was from mold at the time). I bought your book about thyroid health, and it is very informative. Thanks for the work you’re doing to educate people about mold toxicity and the thyroid. Liz – thank you so much for sharing your journey with me! I am happy to hear you are taking charge of your health! <3 Please keep me posted on your progress. I have just found that I have goiters and was diagnosed with “hyperthyroidism”. I’ve got a diagnosed allergy to mold and have been getting shots of mold to raise my resistance. It seems to work. I have low vitD ongoing, low testosterone and I’m pretty sure I have Candida overgrowth. I just had three silver fillings removed and more still there. I’ve wondered if I have Alzheimer’s. I’ve been reading everything but I really wish I had a reduced version because I feel like I can’t understand anything. Should I continue putting mold in my body? Rhonda – thank you for reaching out and sharing your journey. Yeast is an opportunistic organism that acts up when your overall health is impaired or when your immune system is compromised. Most people with Hashimoto’s will have a high degree of yeast overgrowth, especially of the Candida genus. Treating this overgrowth can be very helpful in restoring health. A note about Candida: Candida can be a primary or a secondary root cause. While conventional medicine underdiagnoses issues related to yeast overgrowth, natural medicine practitioners seem to overdiagnose yeast and may say Candida is a root cause for all ailments. I recommend a Candida protocol for most people with Hashimoto’s. I talk more about this in my book Hashimoto’s Protocol I hope you check it out.